1 Million for Work Flexibility has more than 80 organizations on board to date as part of our coalition—and counting. We’re pleased to share more information about our supporter Cancer and Careers in today’s “Spotlight On…” post. Imagine that you have a career that you absolutely love. You wake up each morning excited to go into work and use your skills and experiences to solve issues. But you also have a serious health issue: you have been diagnosed with cancer. Here’s the thing: having cancer doesn’t mean that you have to quit your career. Cancer and Careers is a program of the Cosmetic Executive Women (CEW) Foundation, and was started in 2001 when five out of 40 CEW board members revealed that they had been diagnosed with cancer. These women all wanted to keep working, but there was no resource to help them do this. The New York-based nonprofit helps cancer patients and survivors continue to have fulfilling work lives after a diagnosis. If you’re already gainfully employed, Cancer and Careers offers information on how to share the news of your diagnosis with your boss and coworkers, how to relieve stress, how to handle discrimination at work, and how to transition back to work after cancer. 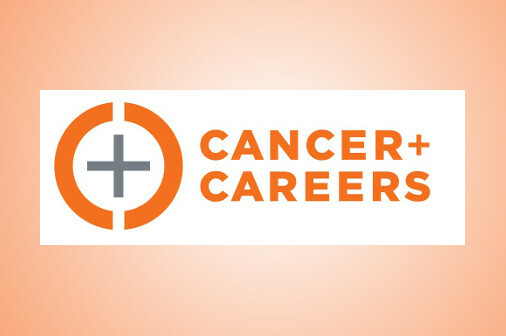 If you’re looking for work, Cancer and Careers can help you with your job search. Not only do they offer a free resume review for cancer patients and survivors, but their career coaches can also help you manage your online brand, as well as give you tips on how to job hunt after cancer and how to conduct a successful job interview. The Cancer and Careers website is a rich resource for anyone who is dealing with work issues related to cancer. It offers an array of resources, including legal and financial information, practical tips and tools, webinars, and publications. The site even has a section dedicated to coworkers of those who have cancer and what they can say and do to be helpful during this difficult time. Cancer and Careers is an invaluable resource for those who have been recently diagnosed with the disease, are currently battling it, or who are trying to regain a footing in their career post-cancer. The nonprofit offers guidance, solutions, hope, and a positive outlook for more than 300,000 individuals online, in print, and in person each year.